Why YOU Need a Personal Development Plan! 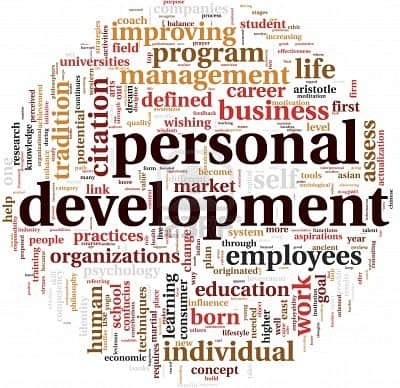 Whether you are trying to obtain your ideal life, become a highly successful leader, pick up a new skill, develop a new hobby, or improve in some other way, it is very important to have a personal development plan. And, steps you can take to continuously move your plan forward. In this video we will look at why you should have a personal development plan. So let’s talk about why you should have a personal development plan. Why do you think you should have a personal development plan? What is your goal or driving motivation? Well, here’s something to consider. Most people spend the majority of their first 18 years of life in some form of the public school system. From there, they often pursue some form of higher education. BUT, once they are done, then what? For many people, that is the end of their education and personal development. That usually concludes when they are in their 20’s or early 30’s. From that point forward, many people work their jobs and only do training or development courses when they are required to by their employer or to keep a specific license or certification. Your higher education and occasional corporate or license required training is not enough for you to get the most out of life. You must create a personal development plan that goes beyond the required training. Here are three reasons why everyone should have a personal development plan. Some of the better companies had a different approach. They felt it was important to continuously learn. Rather than repeat the same year 30 times over 30 years, they felt it was important to be a lifelong learner to gain 30 years of learning and experience instead of just one year 30 times. Lifelong learning helps you to constantly use your mind and stay fresh. It also opens new and better opportunities. And finally, lifelong learning enhances our understanding of the world around us, provides us with better opportunities, and improves our quality of life. Second, a personal development plan allows you to make continuous personal improvement. At first thought you may be asking, “Well, isn’t lifelong learning the same as continuous personal improvement?” Although they are similar, they are actually different. Lifelong learning can be done by just gaining exposure to new people, information, or environments, but not going any deeper. Continuous personal improvement, on the other hand, requires constant learning that drives personal improvement. When continuous personal improvement is part of your development plan you can focus on becoming better in specific areas so you can become your best self. The third reason why you should create a personal development plan is that it enables you to obtain your ideal life. Let’s think of it this way. You are the architect of your own life. Architects always create and have a plan that is used to build buildings or other structures. Without the plans, they can’t do anything. Have you ever imagined what your ideal life looks like in say, 5, 10, 15, or 20 years? Do you see yourself living in a certain area doing certain activities? Well, the bridge between where you are at now and where you want to be is your personal development plan. When you create your personal development plan, create it so that it steps you through life until you live your ideal life. Anything in life more than a year or two out, is flexible. You can reinvent yourself today, tomorrow, next week, next year, or some point in the future so you are the person you want to be and do the things you want to do. What’s important is that you create a plan now that will give you the appropriate skills to obtain that life in the future. Since you are the architect of your own life, just as architects have plans, the personal development plan is your life plan so you can build the life you want. The plan will help you get from where you are right now to your envisioned ideal life. In conclusion, everyone should have a personal development plan so they can do lifelong learning, have continuous personal improvement, and obtain their ideal life. As you create and act upon your personal development plan, you are taking steps to become your best self! Before you go, I’d like to invite you to subscribe to the Leadership Done Right YouTube Channel to get all the latest videos. Also, please check out LeadershipDoneRight.com for other great content related to personal development, goal setting, and all things leadership! One last thing, if you enjoyed this video and know others who will also like it, please like the video and share it with others! Until next time, go and be the best leader you can be!